Our guide to Louisville will help you find the best budget hotels in Louisville Kentucky. Poised on the banks of the Ohio River, Louisville blends small-town charm with urban sophistication. The city's claim to fame is the Kentucky Derby. The race at Churchill Downs has been a national event for more than 120 years. Many of us first learned of the city from a baseball bat. Today, the rebuilt Louisville Slugger Factory is another major draw. The city itself has been revitalized with a bustling riverfront district that features the inviting Riverfront Plaza. Tourists may take scenic river cruises aboard The Belle or The Star. Louisville is also blessed with a dynamic arts scene, featuring the Kentucky Center for the Arts, as well as several fine museums and annual festivals. There are tons of great budget hotels in the city of Louisville, our city guide will help you find the best budget hotels. You may have a hard time deciding what to do in Louisville, but we make your decision easy. 10101 Forest Green Blvd, (502) 326-3895 - SpringHill Suites Louisville Hurstbourne/North is a budget hotel / motel / resort located in Louisville KY.
11711 Gateworth Way, (502) 244-9511 - Staybridge Suites Louisville E is a budget hotel / motel / resort located in Louisville KY.
11762 Commonwealth Dr, (888) 897-0084 - Candlewood Suites Louisville-East is a budget hotel / motel / resort located in Louisville KY.
12301 Alliant Ct, (502) 261-0644 - Wingate By Wyndham Louisville is a budget hotel / motel / resort located in Louisville KY.
132 E Jefferson St, (502) 569-7373 - SpringHill Suites Louisville Downtown is a budget hotel / motel / resort located in Louisville KY.
1640 S Hurstbourne Pkwy, (502) 491-7320 - Whether you are traveling on business or leisure Red Carpet Inn provides clean, comfortable accommodations at affordable prices. 1735 Stewart Ave, (502) 449-7376 - Best Western Dixie Inn is a budget hotel / motel / resort located in Louisville KY.
1921 Bishop Ln, (502) 456-4411 - Best Western Airport East/Expo Center is a budget hotel / motel / resort located in Louisville KY.
2735 Crittenden Dr, (502) 637-2424 - Hilton Garden Inn Louisville Airport is a budget hotel / motel / resort located in Louisville KY.
311 E Gaulbert Ave, (502) 638-6100 - Quality Inn and Suites University/Airport is a budget hotel / motel / resort located in Louisville KY.
3304 Bardstown Rd, (502) 456-2861 - Economy Inn is a budget hotel / motel / resort located in Louisville KY.
333 E Market St, (502) 589-8998 - Residence Inn Louisville Downtown is a budget hotel / motel / resort located in Louisville KY.
3330 Preston Hwy, (502) 368-9597 - Sleep Inn is a budget hotel / motel / resort located in Louisville KY.
3500 Springhurst Commons Dr, (502) 412-1311 - Residence Inn Louisville Northeast is a budget hotel / motel / resort located in Louisville KY.
3711 Chamberlain Ln, (877) 863-4780 - Holiday Inn Express Louisville I-265 East, Ky is a budget hotel / motel / resort located in Louisville KY. There are plenty more budget hotels in Louisville. 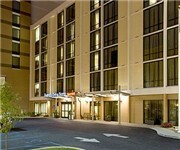 See all budget hotels in Louisville Kentucky.